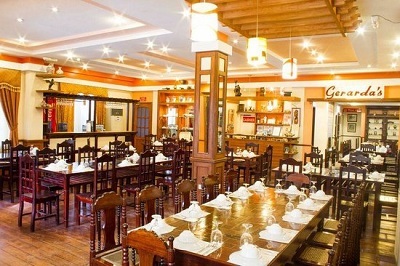 Bohol restaurants are located either in hotels, resorts, or around the Tagbilaran city and other towns. Since we have not tried all the restaurants, below are some of the comments and review we have gathered around the internet. 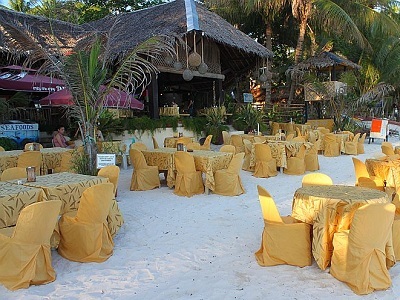 Along are several choices of restaurants, similar to the style of Boracay. You can choose many types of seafood (prawns !!! oh wow!!). You basically point to what you want to eat and they will charge you or weigh the food first. It is often grilled right there on the beach. Most chairs are lawn chairs so don't expect luxury spots, except for Alona Palm (which is magical and from what I remember, not overly expensive). Alona Palm is not on the beach, but at their exclusive resort, which you can walk right up to. The ocean is littered with local boats, which can detract from the mood, but overall it was a pleasant experience. PRAWNS and garlic rice !!!!!!!!!! JASZ Restaurant: Dine by the Sea - If you want a not so expensive but fresh seafoods in Alona Beach, this is the place to be. Food is delicious and superb. 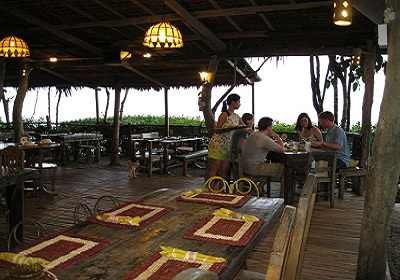 Dining with a refreshing sea breeze inside a tropical nipa and bamboo hut is so cool. The Pyramid The Pyramid is a restaurant right on Alona beach. It does a mixture of local and western dishes at reasonable prices. The Pyramid Special starter is great. Fresh prawns in a great sauce. Trudi They have a variety of dishes to choose from at reasonable prices (grilled squid is only P90/order :))... The food are very cheap in here..one order is equivalent for only $2 and they have sumptous and yummy local cuisines! Panglao Beach Resort Resto Crabs!!!! and any seafoods! 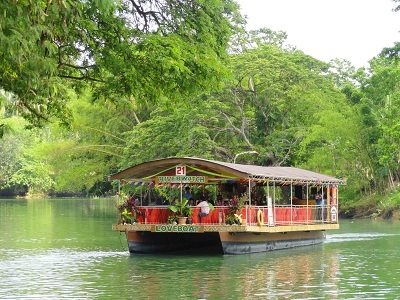 Loboc River Cruise Lunch Grilled seafood (like tigerprawns, calamari, lapu-lapu fish) BBQ chicken and pork and some grilled vegetables and omelette served with rice. Fresh fruits for desert and coffee/tea to follow. Although it was pricey, it was super delicious. There is a man on a guitar serenading Spanish and popular songs in the 80s thoughout the whole cruise. Garden Cafe - American The only theme restaurant in Tagbilaran: Western. It is special in a sense that you don't mention to the waitress your order, instead you write it down in a paper which is given to you together with the menu... 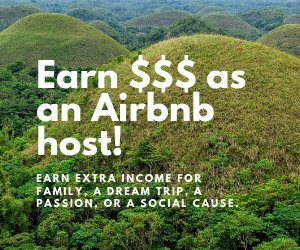 Almost all of the employees serving you are deaf people.